Sleep is an important part of our daily lives. It’s vital to give our bodies a chance to recover and our brains to organize themselves, but if it is interrupted for whatever reason, you can find yourself starting to struggle. One consequence can be what is known as REM rebound, but is REM rebound a sleep disorder? In this article we will be explaining what it is, the reasons that can cause it, and what steps you can take to resolve it. During stage 2 your eyes stop moving and your brain activity slows down apart from occasional bursts of rapid brain waves. This is where your body starts to prepare itself for the later stages of deep sleep, and is when your temperature starts to fall and your heart rate slows down. Stage 3 is the first stage of deep sleep during which delta brain waves (ones that are very slow) are intermixed with smaller, faster ones that are more associated with waking behavior. This stage of sleep is when parasomnia conditions can present themselves, such as sleepwalking and night terrors. Stage 4 is a very deep sleep when delta waves are pretty much the only ones being generated by your brain. If you are woken up during this stage of sleep you will feel very disorientated for a while before you get your bearings. Rapid Eye Movement Sleep is when your brain is most active during sleep, where it, in fact, exhibits the same signals as when you are awake. Your eyes move from side to side quickly during this stage, and it is the time when we experience the most intense dreams. Each of these stages last for about 5 to 15 minutes in each cycle, with the earlier cycles of the night focusing more on deep sleep and less on REM sleep, while the latter stages give more time to REM sleep. Each cycle will progress through the stages and then bring you back to a light sleep before REM sleep begins, and then will start all over again- For example, one cycle will go like this: Stage 1, Stage 2 , Stage 3, Stage 2, Stage 1, REM Sleep. (Stage 4 is usually seen as a secondary part of Stage 3 by most sleep professionals). REM sleep is when your brain collates all of the information it has picked up during the day, often thought to be what causes us to dream, and regenerates itself and balances the levels of present neurotransmitters. The deep sleep stage is the most restorative and is when your physical body recovers. During this stage your body releases human growth hormone that restores your muscles and your immune system. If you are interrupted during sleep, the effects will differ depending on which stage of sleep you are in when it happens. If you are in a light sleep, for example, then you will easily wake up and acclimatize to your surroundings in very little time. If you are in a deep sleep, on the other hand, you will be a lot more fuzzy and take a few minutes to re-integrate to your surroundings. It’s very difficult to wake people up from a deep sleep, especially children. If you are disturbed during REM sleep you are more likely to remember your dreams as you experience the most intense ones during this time. As each stage of sleep performs a specific function, if it is disrupted there can be lasting consequences. Deep sleep is the one that reduces your sleep drive, so if you don’t get enough of it you will be left feeling tired. This is why you can have an afternoon nap and still go bed at the same time at night, because you won’t have spent enough time in deep sleep to reduce the sleepy urge. Similarly REM sleep performs restorative functions for the brain, and interruption of this will leave those processes incomplete, and can lead to what is known as REM rebound. REM rebound is defined as the increase of time spent in REM sleep above normal levels. In particular, sleep professionals designate it as REM rebound if there is an increase of at least 20% in the time spent in the REM stage. REM rebound is, essentially, your body catching up on lost REM sleep. There is an increase in REM sleep following a night when you haven’t been able to get enough. This will happen if you don’t get enough sleep each night, are regularly interrupted during sleep so you aren’t able to progress through the stages properly, or experience any other issue that prevents you from spending enough time during this stage. Is REM Sleep Rebound A Problem? The REM rebound effect is something that naturally happens to ensure your body and brain have had the rest that is required. If you don’t get enough restful deep sleep you will end up making up for it later on, and the same is the case for the regenerative effects that happen during REM sleep. If you are sleep deprived or have interrupted sleep one night, then usually you will make up for it the following night and there will be no need for concern at all. If, however, it begins to happen a lot, particularly if you are getting 8 hours of effective sleep every night, then it could be a sign of something more significant. Sleep researchers tend to see it as more of a curiosity than a concern, but if it is troubling you then you should always seek help from a medical professional. REM rebound happens as a result of not getting a proper nights sleep, so there are a number of steps you can take to help improve the situation. First of all it is important to understand that your body works best when you live in predictable patterns, so you should always attempt to go to sleep and wake up at the same time each day- ideally for 8 hours. This will allow your body to get into a regular routine and will significantly improve the quality of sleep you get. The second thing to ensure is that you have the ideal environment to sleep in. This means having a firm but comfortable bed that keeps your spine straight and pillows that keep your head and neck in alignment. This encourages a more comfortable sleeping position and reduces the chance of you being disturbed. Another important thing in your sleeping environment is to reduce any distractions. Ideally this will mean reducing noises, and also any lights. If your bedroom is in a noisy place then it may be worth considering using a white noise machine or sleep mask to help with this. 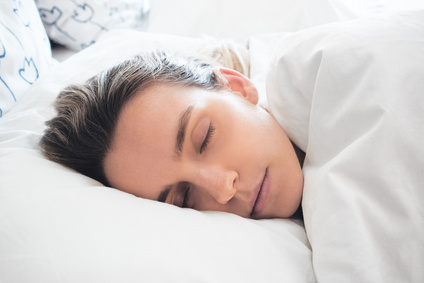 The other main cause of sleep problems that can interrupt your REM sleep and lead to REM Rebound is activity that happens prior to going to bed. You shouldn’t drink alcohol, smoke, or eat large meals within an hour before going to bed, but ideally 3 or 4 hours before you try to go to sleep. Another prime culprit is the use of cellphones or looking at any screens or monitors, because the blue light they emit excites your brain in a way that makes it very difficult to fully switch off later. Your phone can also disrupt you by simply being in the room, and in that case you should make sure that it is facing downwards. Sleep is incredibly important to our wellbeing, but there are a number of ways it can be interrupted and, as a result, cause problems going forward. REM sleep, in particular, is linked with the health of the brain, so it is one of the most important stages of sleep. If you have been wondering ‘Is REM rebound a sleep disorder?’, then the answer is no (in the vast majority of cases), but it is an indication that you aren’t getting the quality of sleep you require, and need to work on improving your sleeping routine and environment to prevent it from becoming a long term problem.